Chinese brand Vivo has launched today affordable smartphone in India known as Vivo Y71. This phone comes with 6 inch full view display with an aspect ratio of 18:9, super narrow bezels and screen-to-body ratio of 84.4%. The other USP of this phone is that it incorporates Face Access unlock feature. The other aspect of facial recognition technology employed on this phone is that its smart low volume also recognizes when you are looking at the screen and lowers the volume of message alerts, incoming calls and alarms for minimum disruption. This phone is priced at Rs. 10,990 and will be available in Gold and Matte Black colour across all offline stores from 14th April, 2018 and will also be available online on the Vivo E-store, flipkart.com, amazon.in and paytmmall.com from 16th April, 2018. The Y71 is powered by Qualcomm Snapdragon 425 processor paired with 3GB of RAM and 16GB of internal storage which can be further extended via microSD card. This phone is packed with 13-megapixel rear camera with LED flash and PDAF. It also houses a 5MP front camera which comes with an AI Face Beauty feature which identifies gender, age, skin tone and texture to apply a range of beauty effects for enhanced images. 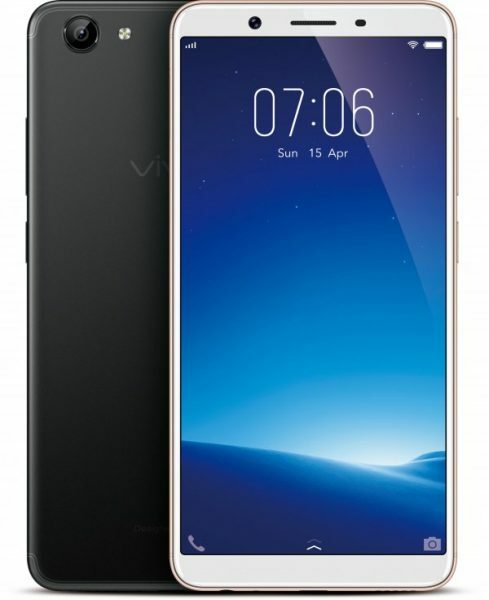 The Vivo Y71 is packed with a 3360mAh battery with Vivo Smart Engine which according to Vivo improves the battery performance by providing additional power management for prolonged usage. This is Dual-SIM supporting phone and runs Android 8.1 Oreo with layer of FunTouch skin on top. It offers connectivity options of 4G VoLTE, Wi-Fi 802.11 b/g/n, Bluetooth 4.1, GPS. This phone does not have fingerprint sensor.